Let the Festive Fantasy commence! Christmas is the most wonderful time of year in Disneyland Paris. It’s a time that both parks get involved with, and evidence of the season can be seen in multiple places around the resort. Perhaps this season, more than any of recent years, the celebration this year has seen a bit of an overhaul and has grown up somewhat. What is certain though is that Disney’s Enchanted Christmas offers something for everyone. Last weekend (November 9th and 10th 2013), the Christmas celebrations were presented to the press, following a day of soft openings. This has given ample time for fans to sit and digest what the new features are, and formulate opinions; which at the moment are overwhelmingly positive. Perhaps what is striking about this Christmas is the integration of the newest Disney Animation Studio’s film Frozen. 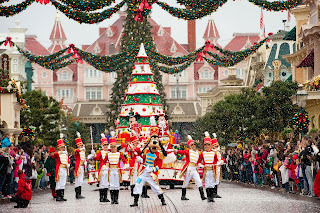 The film has not even been released in cinemas, and yet the characters are on their new Disney Magic on Parade float and can be seen in Disney Dreams of Christmas. Compare this to last Christmas where Wreck it Ralph was nowhere to be seen in Disneyland Paris (and still isn’t), other than in merchandising. 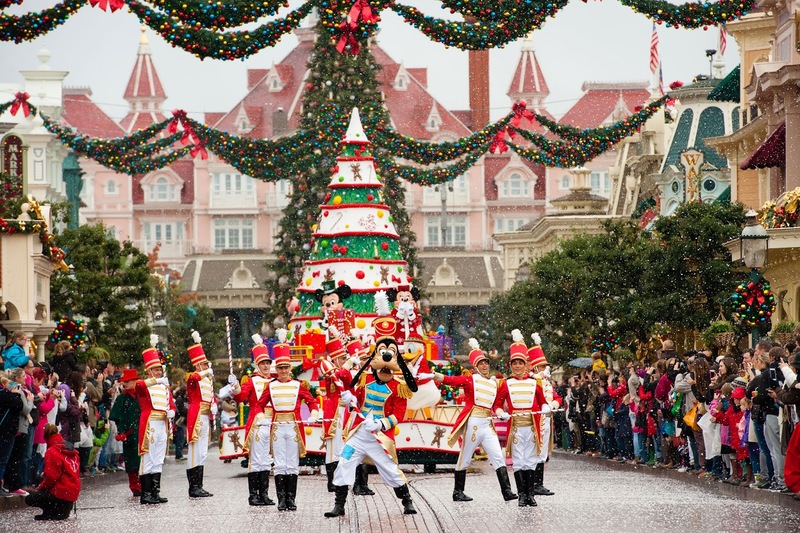 As one walks into Main Street USA, the sights and sounds of Christmas immediately flood the air. Gone is the usual ragtime loop, and in comes the warm sound of classical Christmas carols. Main Street Station is appropriately dressed for the occasion, images of classic Disney characters appear in a snowy Christmas settings. Garlands adorn the station and glisten in the evening sky. 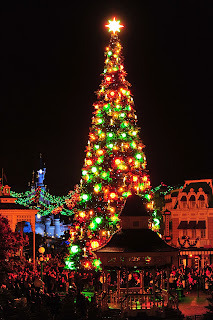 The beauty of Disney’s Enchanted Christmas is immediate, before the new Christmas tree even comes into sight. The new Christmas tree in Disneyland Paris stands tall and proud in Town Square, towering over Main Street. Everything about this tree is new, and will excite guests of all ages. The new ornaments look classy, yet maintain the Disney touch. Perhaps this tree is more striking at night when the lights come on. This is not a ‘simple’ tree; the lights aren’t ‘on or off’. This tree is at the height of technology, the colours change and light formations alter in the new Christmas tree lighting ceremony Magical Christmas Wishes. This show centres around wishing upon a Christmas star with Jiminy Cricket and Pinocchio, when we wish upon a Christmas star all our dreams come true in this spectacular light, sound and snow show. 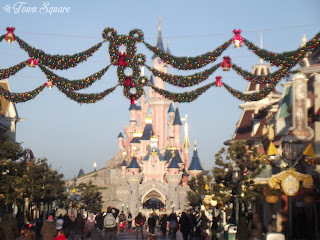 Disneyland Paris has once again found its festive overlay for the winter season, the garlands above Main Street are the obvious highlight, the ooze class and the classic Christmases whilst maintaining their Disney nature. What is amazing this year about those garlands is how they react to the Magical Christmas Wishes show, and to Disney Dreams of Christmas. These shows have suddenly become much more immersive, and Disneyland Paris is much better because of it. Other decorations include the return of the snow men to Central Plaza and Christmas shop windows. Various Disney characters are doing meet and greets in special Christmas dress including Duffy the Disney Bear at the Boarding House, Winnie the Pooh near Casey’s Corner; and for the first time Sandy Claws will be at Jack and Sally’s Cemetery, and various Disney characters will be waiting for you whilst you wait to see Santa Claus at Father Christmas Village in Frontierland. In Fantasyland, It’s a Small World Celebration returns for yet another year; discover how different cultures all across the globe celebrate the holiday seasons whilst being enchanted by fabulous seasonal carols being mixed into that very familiar, well-loved, piece of music. Paris last year, it was made very clear that is was just the beginning of a larger piece of work. This is evident the moment the parade arrives in vision this year, the cavalcade has grown and evolved into something even more beautiful than in previous years. The music begins, and it’s instantly Christmas. The new floats (and the rearranged previous floats) looks superb. The parade floats match the change in Christmas atmosphere, the Christmas tree is represented (take a moment to look at the float, and the tree), there are new characters on the parade route and many more dancers. Making this superb parade even more impressive. 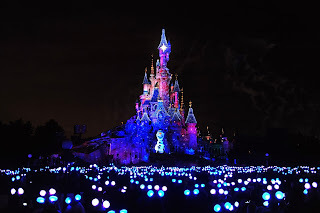 The 2013/14 Christmas season at Disneyland Paris is huge, bigger than one article can hold for all the details, it’s a spectacular looking event and feels totally re-imagined this year. 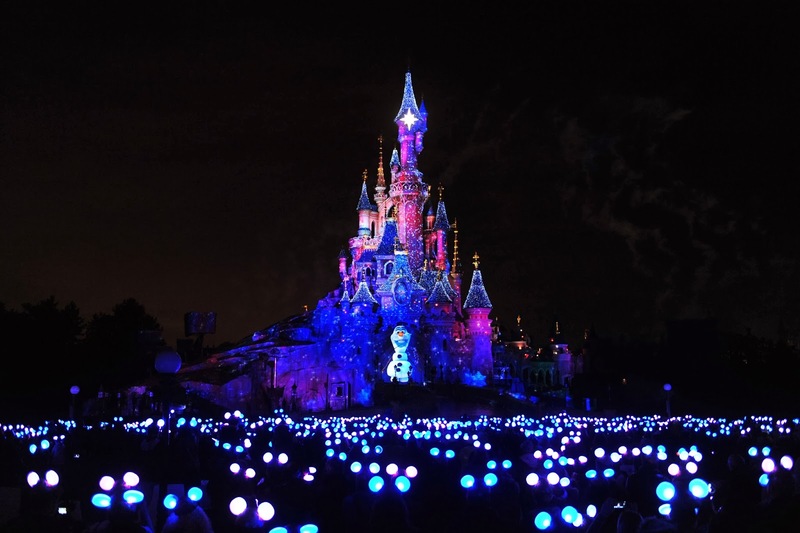 Many Disneyland Paris fans will be heading to the magic this Christmas, and we wish you a magical time. Christmas at Disneyland Paris is where magical family memories are made, what will your memories be? Disney’s Enchanted Christmas runs from November 10th 2013 until January 6th 2014. 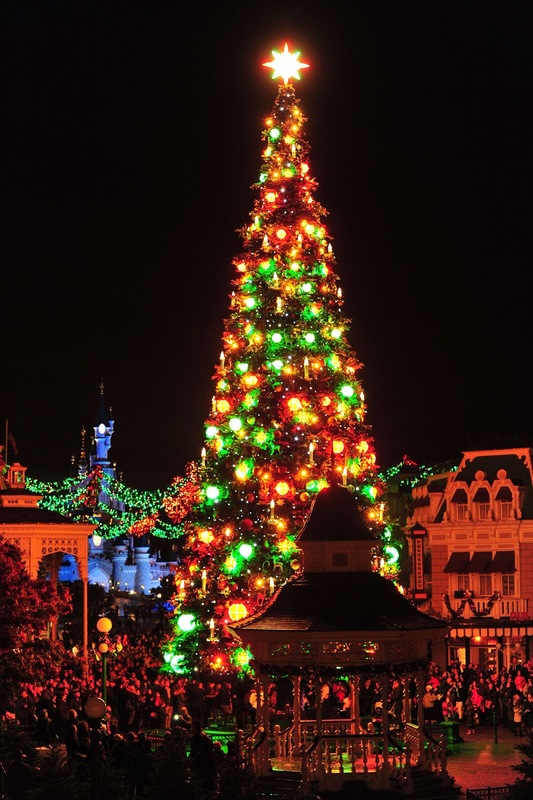 Disney Dreams of Christmas runs nightly at park closure. Consult the programme in the parks for full times during your trip. 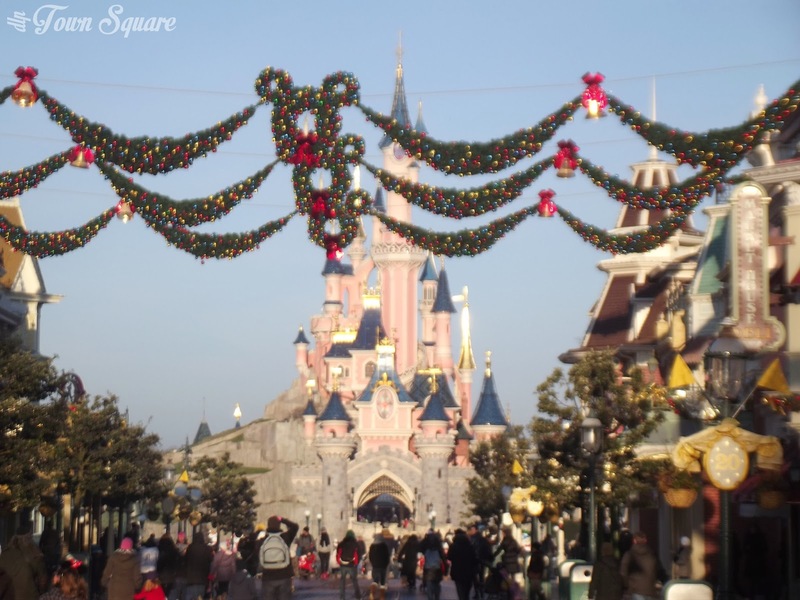 DLP Town Square will be LIVE in Disneyland Paris on the 23rd and 24th November. Follow us on Twitter for live updates, and to request photos. – I’ll be posting follow-up articles after the trip detailing the festivities with pictures and videos. PreviousPrevious post:Coup de Cœur: Buffalo Bill’s Wild West ShowNextNext post:Rapunzel’s Christmas Pin Event pins revealed!